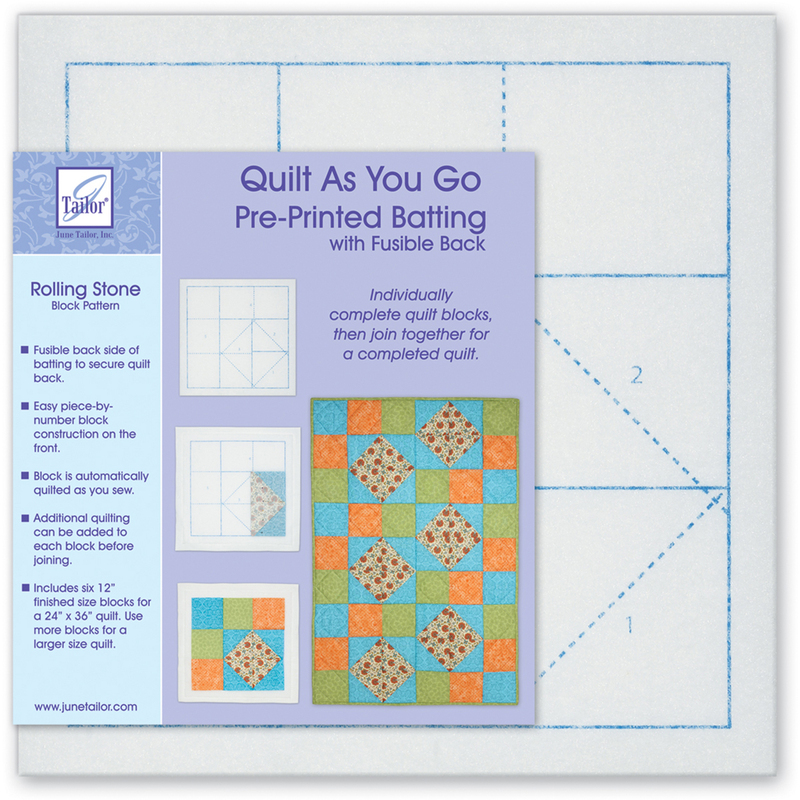 June Tailor-Quilt As You Go Printed Quilt Blocks On Batting. Quilt as you go! The sheet of batting is screen printed on one side with six 12 inch block patterns with a fusible applied to the back. Assemble one block at a time by piecing in numerical order, since you are sewing through all 3 layers at once, you are quilting as you go. Allows for complex quilting designs to be handled on a standard size machine. This package contains six 12 inch 100% polyester finished size blocks for a 24x36 inch quilt and instructions. Use more blocks for a larger size. Made in USA.